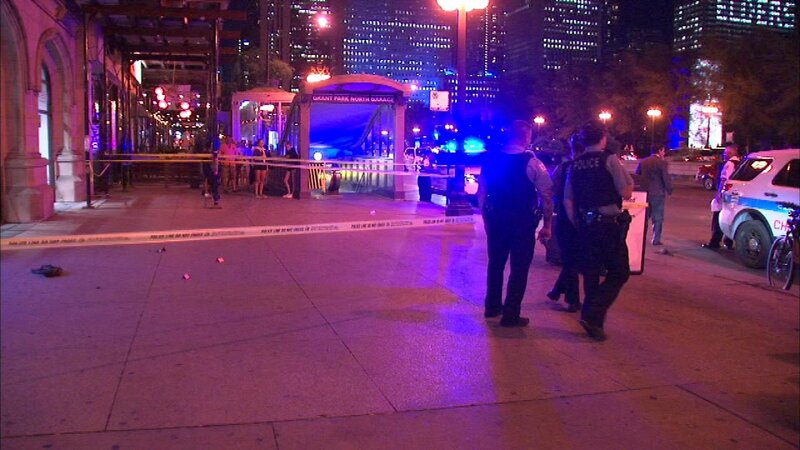 CHICAGO (WLS) -- Police are looking for the person who shot a 21-year-old man near Millennium Park in Chicago's Loop. There was allegedly some kind of altercation before the victim was shot in the stomach around 8:25 p.m. in the 100-block of South Michigan Avenue. He was transported to Northwestern Memorial Hospital, where his condition stabilized. The victim was not cooperating with the investigation, police said. Bystanders watched police collect evidence from the street and wondered what was going on. "I saw a visible red stain on his shirt and I thought, 'There's no way this could be anything serious.' But now, finding out it's a shooting or stabbing or something like that, it's really shocking," said Star Donaldson, who witnessed the aftermath. Police said the man who was shot has gang ties. No one is in custody. Area Central detectives are handling the investigation.